Do you need effective pest management in Roseville? Get in touch with Earthwise and we’ll handle your pest problems! Roseville residents know that there is only one team to call when it comes to pest control in the Greater Sacramento area: Earthwise Pest Management. Our team of expert pest control specialists utilizes a method called Integrated Pest Management (IPM) for our services. IPM is a means of eradicating the current pest problem while preventing new pests from entering or being attracted to the property, offering a long-term pest management solution. When it comes to pest control in Roseville, make sure you choose the best pest management team around. At Earthwise Pest Management, we take pest control seriously. Our highly trained pest control technicians are familiar with the various bugs, insects, and rodents we find here in the Greater Sacramento area, and we know how to treat each type of infestation. 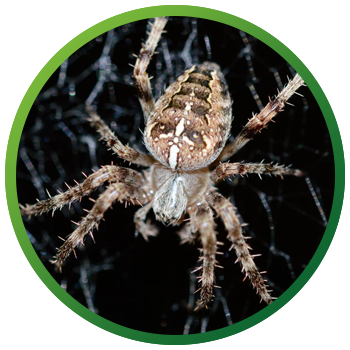 As your Roseville pest control experts, there are a few pests we frequently encounter. These are the pests that no home or office building is immune to and that almost always require professional treatment to get rid of. Check them out below and give us a call if you see any signs of these pesky pests. Termites cause homeowners billions of dollars in damage every single year. Not only do they cause harm to your wallet, but their damage can also result in physical harm by making the very structure of your home insecure. When it comes to termite control, Roseville residents know that it is better to act sooner rather than later. Unfortunately, most termite infestations aren’t found until they are too advanced. If you have not recently had your home inspected for termites or you recently moved into a new home that was not previously inspected, make sure to call Earthwise for a thorough termite inspection. If termites are found, we can devise a treatment plan. If not, our pest management team will advise you on how often you should have a termite inspection based on your risk factors. Bed bugs are expert hitchhikers and often end up in your home after you stay in an infested hotel room. However, that’s not the only way bed bugs can wind up in your home. These apple seed-shaped little bugs can hitch a ride from the office, the movie theatre, an airplane, and various other places that see a lot of traffic. When you have a bed bug infestation, treating it the right way is important. The last thing you want to do is spray over-the-counter chemicals all over your bed. Instead, call your local bed bug control company in Roseville and we’ll schedule a time for an inspection and treatment. We use heat treatment to kill bed bugs and their eggs which has been shown to be the safest and most effective method of bed bug extermination. Rats and mice need food, water, shelter, and warmth to survive — and your home or commercial building has all four of those elements in abundance. Rodents are experts at finding their way into our living spaces and can squeeze through tiny cracks in the foundation or roof to enter your home. Once rodents are in a safe place, they can quickly breed and take over your space. If you notice any signs of a rodent infestation such as droppings, chewed wires, nesting areas, foul odors, or hear scurrying around the home, get in touch with the Roseville rodent control experts at Earthwise as soon as possible. The pests listed above are just a few specific ones that require their own special type of treatment. We can also control spiders, moths, ants, wasps, silverfish, cockroaches, mosquitoes, and a number of other insects and bugs that might be in and around your home. By using Integrated Pest Management, we can find the source of an infestation and take preventative measures to keep pests out of your hair for the foreseeable future. If you are experiencing any sort of rodent, bug, or insect issue, then get in touch with your Top Rated Local® pest control service in Roseville, California.